in Contact View right-click on the contacts folder and then click on "Enable CardDAV Sync"/"Config CardDAV Sync"
your_google_calendar_id for your primary calendar is your Google email address. However, for all other calendars, the calendar ID has the format [long_string]@group.calendar.google.com. You can retrieve the calendar ID at calendar.google.com by clicking on the "down" arrow next to your calendar and selecting "Calendar settings". For further information you might consider having a look at our detailed illustrated instructions . 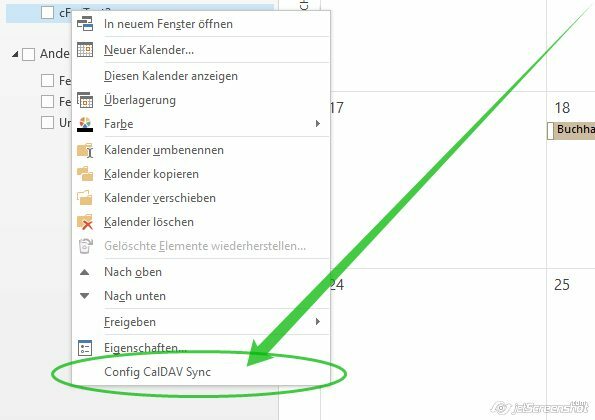 Task synchronization with Google Calendar: The Google Calendar doesn't support CalDAV for tasks and furthermore (using Google Calendar API) Google tasks only have a very small subset of features compared to the features of Outlook tasks. So synchronizing Google tasks with Outlook tasks is not recommended. The closest thing to Outlook tasks / VTODO CalDAV elements are appointments. 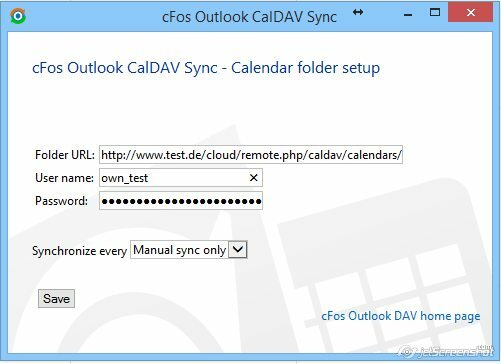 Therefore cFos Outlook DAV stores Outlook tasks as appointments when used with a Google server. This means you have to set up another Google Calendar, which is then exclusively used for Outlook tasks only. Configuration is then the same as with appointments. We only support the most recent major version of ownCloud. Please update if you experience problems. 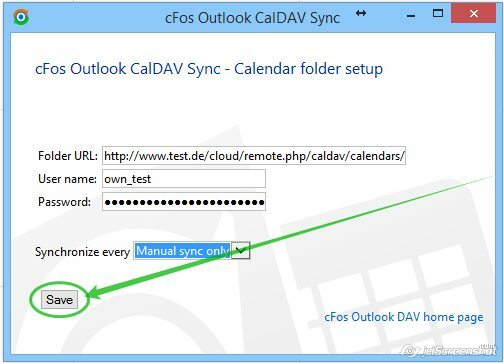 Advanced configuration: cFos Outlook DAV uses your configured URL to try to detect the actual location of the calendar or address book. By prefixing your URL with a * you can suppress this behaviour. In this case cFos Outlook DAV then uses this URL exactly as specified. This should help with DAViCal bindings and in cases where you want to use a different calendar with GMX or web.de. Example URL: *http://www.cfos.de/calendars/mycalendar2. 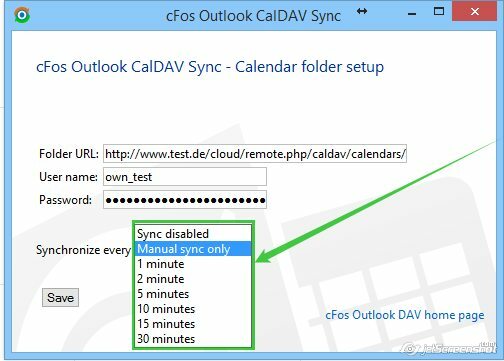 You can check your calendar_collectionGUID at https://caldav.one.com/calendars/users/your_one.com_user_email/. How to host a CalDAV-Server using a Synology NAS. How to host a CardDAV-Server using a Synology NAS.